Ozzy Osbourne Uses a Teeter Inversion Table! Ozzy joins many other celebrities (list below) who have found the benefits of inversion therapy. 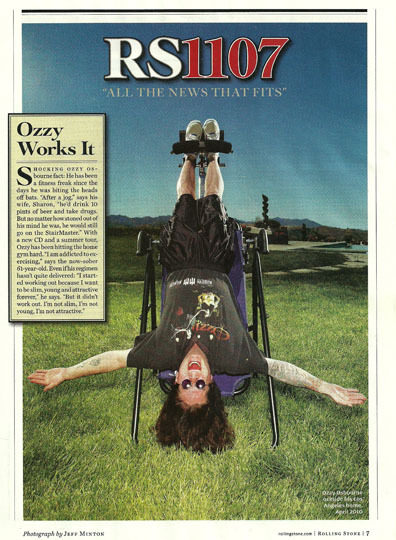 The June 24th issue of Rolling Stone magazine featured Ozzy hanging from a Teeter Inversion Table. He’s not the first rocker to flip for a Teeter, Gene Simmons uses a Teeter Hang Ups table, and members of 311 take one on tour. At 61 years old, is inversion therapy Ozzy’s fountain of youth? He is touring this summer! Lance Armstrong – Uses Gravity Boots for training. Eva Mendes – Inverts for 20 minutes a day to keep her complexion. 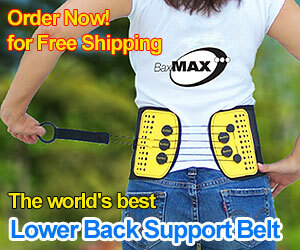 Dan Brown (Da Vinci Code author) – Uses inversion therapy daily to keep sharp and overcome writter’s block. Matt Lauer – Tried the Teeter Hang Ups table on the Today Show. David Blaine – Uses Gravity Boots to work out in order to keep in shape for his various feats. Any Richter – Used a Teeter Hang Ups table on the Tonight Show. Steve Truglia – This James Bond stuntman uses his Gravity Boots to train. Jackie Chan – Uses inversion therapy. David Blaine and Jackie Chan… reason enough to try a Teeter Inversion Table, especially with the security of the Better Health Innovations 60 Day Trial Period. I just ordered an Teeter EP950 a few days ago. Didn’t know that Jackie Chan used it!